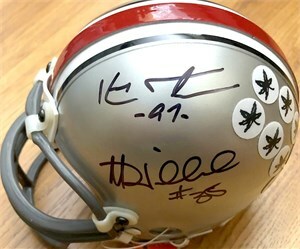 Riddell Ohio State Buckeyes mini helmet autographed in black marker by defensive stars Kenny Peterson and Matt Wilhelm, who helped lead OSU to the 2002 National Championship. 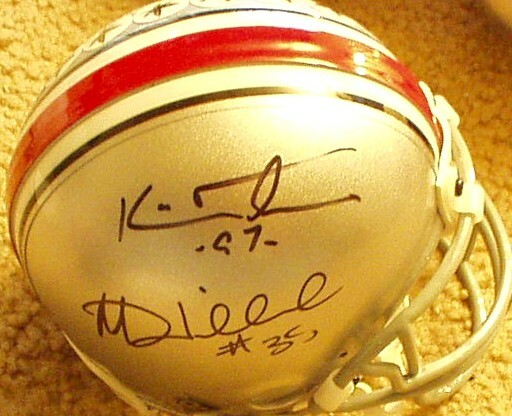 Obtained in person at the 2003 Senior Bowl. With certificate of authenticity from AutographsForSale.com. ONLY ONE LEFT.